Stop-motion is a famous technique which was widely used by film makers before the 21th century. For example, the famous British comedy series Wallace and Gromit is a clay animation made with stop-motion technique. The object in a stop-motion video can move on its own. When watching a stop-motion video, you may wonder how it is made or whether you can make one yourself. In fact, if you follow the basic rules, stop-motion will not be too difficult to create, and the process of creating will not be time-consuming either. 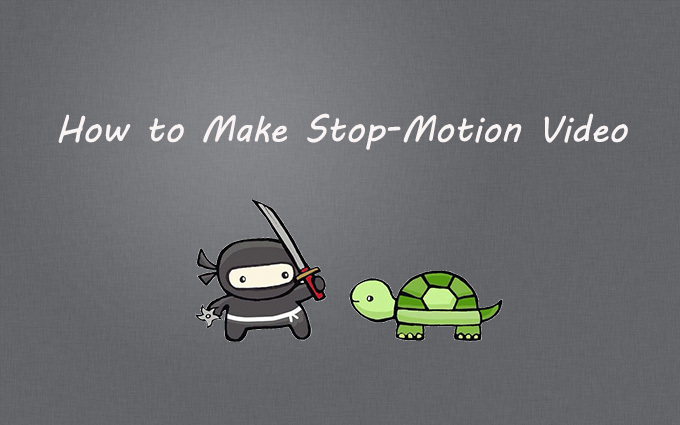 In this post we will show you how to make stop-motion videos. Before taking photos, you should choose a subject for your film and a figure of the story. It is usually easy to find one for there are so many old fairytales and animations which can be the rich source of your creation. When it comes to the materials that could be used in making a stop-motion video, you’d better pay attention to common objects in your daily life, such as bulbs, clay, Lego, wire etc. By the way, in order to get a clear video frame, adding a hard light to the background is a great idea. For creating a high-quality video, a camera is always in need. Apart from camera, you can also use a mobile phone to take photos. But if you have a tripod, a SLR or other professional facilities, then you are easy to get a better result. Anyway, no matter what kind of device you use, you should just ensure that you are familiar with it. 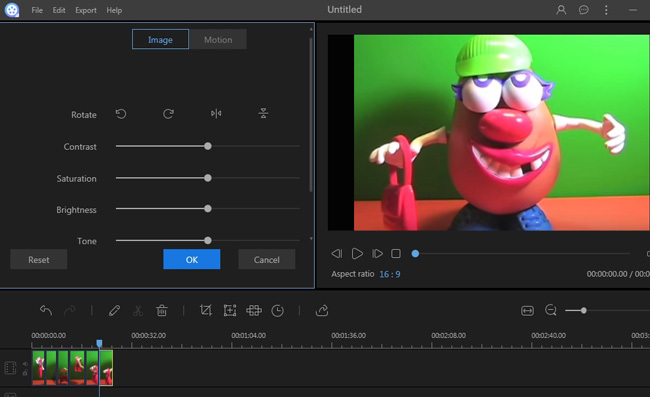 If you make stop-motion videos without any plan, you’re making it much harder for yourself. 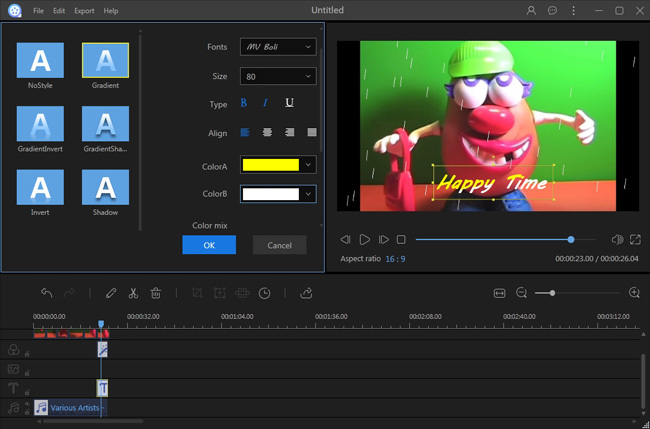 Preparation is key when it comes to creating stop-motion videos so you need to make sure you’re prepared for every eventuality so production runs smoothly. One great idea is to create a storyboard. Not only will this bring your idea to life before taking any pictures but it will also make sure you’re prepared and you don’t miss anything when creating your story. A good stop-motion video always depends on a delicate scene, which refers to the background setting and the light adjusting. You need make sure that all the objects stand up well by themselves and make sure if you’re outside that the weather doesn’t affect production. Taking photos is an important part in the process of making a stop-motion video. Firstly you should make sure that your camera is steady and then you can start to adjust the position of objects or figures. One thing you need to remember is to move slowly and shoot pictures one by one according to the movement of the object or figure. In fact, the movement of the figure usually involves its arms, legs, or even facial expressions, so you should move them bit by bit each time and look out for some details. An example of this is the distance between objects. Launch the program and then import the photo folder. Right click the photo in media library and then choose “Add to Project”. Right click the photo in track and then choose “Edit”. Right click text or filter in media library then choose “Add to Project”. Right click them in respective track and then choose “Edit”. Import music file to the media library and then choose “Add to Project”. Right click the music in track and then choose “Edit”. After reading this post, we hope you can get some ideas of how to make stop-motion videos and then take action to create one. All of the tips suggested above are quite efficient, so why not have a try now!